Many young professionals and students want a pet, but are worried how they will have time to take care of them with their busy lives. A locally owned business in Athens makes this possible. Dawg House is a local Athens, Georgia business that reaches out to the community of pet-owners living here and surrounding counties. Many pet owners have a hard time balancing their busy work and school lives while trying to maintain a healthy and fun life for their pets. Dawg house owner, Lisa Vogt, and her staff ensure that people with busy schedules have an interactive place to take their dog. “We are here to socialize and exercise their dogs. Thats why we start early in the morning at 7a.m. so you can drop off before you go to work but we are here after work as well as late as 6 o’clock seven days a week if you need us,” said Vogt. “They live busy lives. 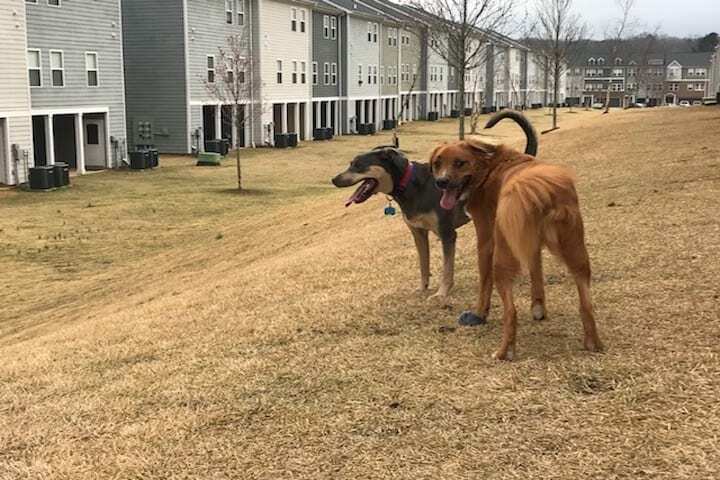 They are at school early and a lot of them go on and work and so it is nice for them to be able to have a place to be able to take their dog just to get out that energy if they are not able to take their dog to the dog park or go for a walk,” said Vogt. Cheyenne Brown, a pet owner and student at the University of Georgia, says on top of school, she has to work two jobs to help take care of herself and her dog, Nola. Having to do this makes it hard raising her dog. These day care services have a huge impact on Cheyenne and Nola’s lives. “Being able to put her in day care really helps especially since the day care is down the street and is inexpensive, so it’s really easy on me,” said Brown. Brown is one of many Athens’ residents who use The Dawg House. It’s been open since September of 2006.Dawg House is one of at least eight local businesses with day care and boarding services that help make the lives easier of pet owners here in the Athens community.